I’ve written before about the immune system – what it is and how it protects your dog. But sometimes, this vital defence system can turn from something that’s keeping your dog healthy to something that causes them harm. The damage a faulty immune system can do varies on how it goes rogue and on your dog themselves. So how can your dog’s immune system turn from a friend to a foe? Allergies are one of the things that can happen when the immune system goes rogue. They occur when your dog’s immune system reacts to something it perceives as a threat, even though it’s not really. This causes the immune system to flare up and mount a response to this perceived dangers, the same way it would if it was fighting off an actual threat – like an infection. The flaring-up of the immune system associated with allergies can cause your dog a lot of pain and discomfort. Let’s take an example. For most dog’s grass, pollen and trees are part of their everyday life. A walk around the park at any time of the year is (by and large) a pleasant experience. That’s because their body doesn’t have any issue with tree, pollen or grass particles. But in some dogs, their immune system incorrectly perceives tress, grass or pollen particles as ‘foreign entities’ that shouldn’t be there and that are dangerous, so it mounts a response against them. If you notice your dog experiencing any of the symptoms outlines above, it’s best to speak to your vet about what course of action to take. 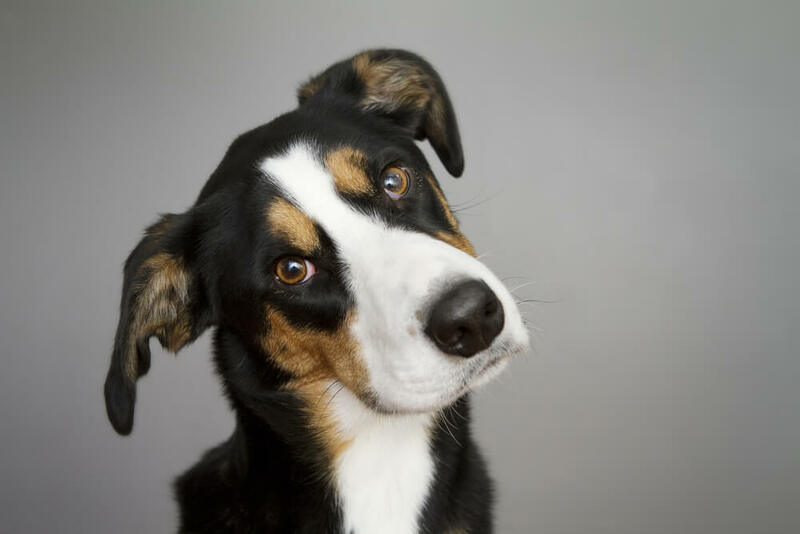 They will be able to carry out a variety of tests and examinations to get to the root of the problem, and advise on the best course of action to take to restore your dog to full health. The good thing about allergies is that in some cases they can be avoided – and it’s usually the best and easiest way to treat them. Remove – or at least limit exposure to – the offending allergen. But this isn’t always easy or straightforward to do. For example, if it’s a suspected food allergy, you’ll have to carry out a food trial. Some blood tests claim to detect exactly what your dog is allergic to. The test measures the amount of Immunoglobulin E (IgE). The main function of IgE is to react to threats in order to mediate their elimination. However, we really do not know if high IgE levels to a particular antigen mean anything that is relevant. Dogs that are healthy – the ones that don’t show symptoms, also have high IgE levels to many of these antigens. While allergies can cause your dog pain and discomfort, and often have to be managed for life, the good news is that by enlarge, they’re not life threatening. On the second part of what happens when the immune system goes wrong, we look at what happens when the immune system gets it wrong and mistakenly attack your dog’s body.